So now we know what dropshipping is, what exactly are the advantages? The great thing about dropshipping is that merchants don’t need thousands of dollars to start up. It’s a relatively easy way to start an ecommerce store without needing large sums of money to purchase and store stock, prior to selling and shipping it. This is because you only purchase your stock after you have made a sale, and then ship it directly to the buyer. By doing this, it means you save space, time and money, as you don’t have to rent a warehouse. You can also worry a lot less about packaging, handling returns and managing your stock level. Because you don’t deal with purchasing inventory, need to rent a warehouse or need a bricks-and-mortar store, dropshipping businesses have low operating costs – all you need to start is a cheap laptop or desktop computer. Over time your expenses may grow, but compared to physical retailers, your costs will still be much lower. Two more big advantages of starting a dropshipping business are that it can be managed from just about anywhere with an internet connection and, you can sell almost any product you want, as long as you can find a supplier. Dropshipping is not without its drawbacks, the most common being the impact of supplier errors. If you dropship, you’ve most likely had experiences where the supplier dispatches the wrong item, the item doesn’t arrive on time, or the item doesn’t arrive at all. This is bound to happen, as while your suppliers are trying to fulfill your orders, they are also fulfilling orders for other merchants, which does mean human error can occur at times. But, because your customer does not know that you are dropshipping, you are responsible for any errors that are made by your supplier, such as dispatching the wrong item. Admit fault by apologizing and let the customer know you’re going to fix the issue. Never mention the dropshipper/supplier as you’ll only confuse the customer. Make it up to them by offering a refund for the shipping fee, or a full refund. If your supplier is at fault, you need to seek a refund, as while you need to accept fault to the customer, under no circumstances should you have to pay your supplier for the product. Another factor to consider is that many dropshippers source their stock from multiple suppliers. If your customer purchases multiple items, all of which you source from different suppliers, then you will need to factor in the separate shipping costs for all of these products. The other downside to this is that if the combined shipping costs are quite high, then your customers may go elsewhere because they think you’re overcharging them for shipping. Inventory issues can also occur because you’re not stocking your own items. This means that there are times when keeping track of your inventory becomes very difficult. Finding a solution to monitor what is in stock and what is out of stock, will require extra resources, time and technology. 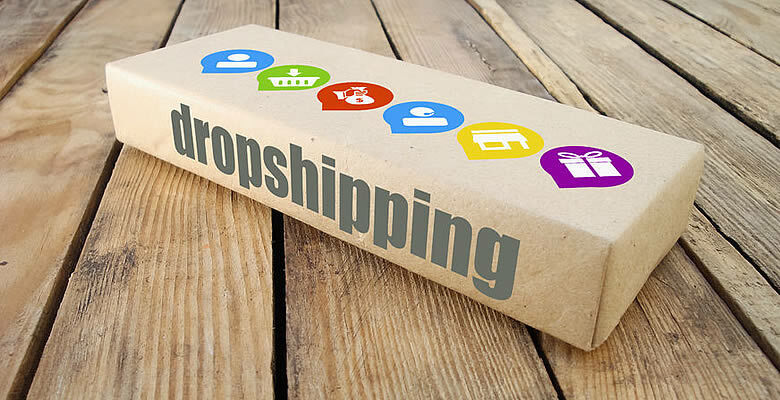 Now we have established that dropshipping isn’t all smooth sailing, we will begin to take a closer look at the issues that pop up, and how we can resolve them. Let’s start by taking a look at the terminology used in the dropshipping supply chain. There are three roles that make up the dropshipping supply chain, these are: manufacturers, wholesalers and retailers. Manufacturers – manufacturers make the product and sell to both wholesalers and retailers. Buying in bulk from a manufacturer is the cheapest way to resell products. Wholesalers – Wholesalers buy in bulk from the manufacturers, and then sell in bulk to retailers. Wholesalers have a MOQ (minimum order quantity) – the lowest number of units you have to buy from them at one time. Retailers – Retailers purchase products from wholesalers and sell direct to the public. You’re probably wondering why dropshipping isn’t in this list. Well, dropshipping isn’t an actual role, it’s more of a service. Anyone can be a dropshipper, for example, if the manufacturer ships to the customer, then they are dropshipping. If a wholesaler offers shipping to the customer, this too means they are a dropshipper. There are four main steps to the dropshipping process. Step 1 – The customer places an order and pays at the checkout – both you and the buyer receive a confirmation and order email. Step 2 – You then forward the confirmation order email across to your supplier. They then bill you the wholesale price for that product. Step 3 – The supplier, or in this case the dropshipper, will box up the order and ship it to the customer. Step 4 – Once this is all set up, the dropshipper will then provide you with an invoice and a tracking number, which you then pass on to the buyer, with an invoice and tracking information. The order has been placed, payment taken, order boxed and shipped, and the customer has been notified. Once this is complete the dropshipping order process is finished. Finding a supplier isn’t as easy as it sounds. It’s not just about finding any old supplier and working with them, it’s more than that. It’s about finding a legitimate wholesale supplier who buys direct from manufacturers to offer you better pricing. Spotting a real supplier is relatively hard these days. Spotting a real supplier is relatively hard these days, especially because traditional ones don’t tend to market themselves that well, meaning it’s much harder to find the legitimate ones over the fakes. Here is what to look out for when you’re trying to decide whether the dropship wholesaler is legitimate or not. If you come across a wholesale supplier that insists you pay a monthly charge, or a fee for the privilege of doing business with them, then this is a number one no-no. Legitimate wholesalers and suppliers do not charge a monthly ongoing fee. Some companies claiming to be “wholesalers” may leave out the crucial information: their address, number, and other business contact details. If you do not see any of these details on their website then those red flags should be appearing. Any company that offers you the chance to make a lot of money, very quickly, with very little effort, are most likely not legitimate. Just like starting any business, hard work is needed to succeed in this industry. Many companies will to require you purchase a minimum order quantity, to stop customers wasting their time by purchasing small orders. This is also to ensure that sufficient business is being met by both parties. This is absolutely legitimate, so don’t be put off if you find some suppliers asking for this. If you come across a supplier requesting a per-order fee (POF), to cover the costs of packaging and shipping a single item, then this is expected. The reason many do this is because the costs of packaging and shipping for one item is much more costly than it would be in bulk. Now you know what to look out for, you need to know how to find these suppliers. The most common way is to contact the manufacturer of the product you want to sell, and ask for their wholesale distributor’s contact details. Once you have these, you can inquire about if they have dropshipping services. Using Google will always get you the results that you want, as long as you perform the due diligence practices from the previous section. Using search queries with modifiers such as “resellers,” “bulk,” and “distributor,” instead of just “[item] wholesaler”, will help drag up some very good results. Alternately, trade shows allow a great networking opportunity with manufacturers and wholesalers. If you focus on a particular niche then this will be easier. If you feel like being sneaky, you could order from your competitor, who is already dropshipping. Then, once you receive the goods, put the return address into Google. That way you’ll find out who the original shipper is – this should be the supplier. There are also a number of directories online that list wholesalers. The main thing to take into account with these, is that some require a fee for accessing them. It’s good to point out, that even if a company is listed in a directory, you should still perform due diligence. If you choose this method, directories to look at include SaleHoo, Worldwide Brands, EUROPAGES, The Wholesaler UK, and Wholesale Central. Directories aren’t always the way to go, especially if you already know what product you want to sell. You should be able to find suppliers by other means as mentioned above. So now you know where to look for suppliers, but there are still a few details to remember before you contact them. The first is that you need to provide proof that you’re a registered and legal business to apply for an account, in order to see any wholesale pricing. It’s important to realize early on, that many suppliers aren’t going to go out of their way to answer your questions – especially if you’re not looking to order anything. That’s why forums like The Wholesale Forums offer that sort of advice for free. You also want to make sure you’re not asking for discounts or wasting hours of their time, because you’ll just end up destroying your relationship with that supplier. If you are trying to contact a supplier, then you need to go about it the old fashioned way and get on the phone. Because of the way that many suppliers work, they’ll most likely be able to answer something very quickly if you just call them. There are three primary ways that suppliers will usually accept payment. The first is to pay your suppliers by credit or debit card. This way, there’s no need to write checks all the time, and a bonus is that you can gain a lot of reward points. However, if you are just starting out you will need to write checks to show you are able to pay for the products. Another option is PayPal, if your supplier accepts it. The main advantage is that PayPal is easier and faster to use and offers buyer protection. PayPal also allows you to create and send online invoices and it also has 24/7 customer support. A downside is definitely the exchange rates that PayPal offer, as these can be very uncompetitive. You can also pay suppliers using net terms, which are like an invoice. This means you have a number of days to pay the supplier. The terms are usually one of Net 10, Net 15, Net 30 or Net 60, giving you either 10, 15, 30 or 60 days to pay the supplier in full. You may need to undergo a credit check to ensure you have no financial problems. This is one of the biggest questions we get asked on The Wholesale Forums on a regular basis, and we always say “you need to decide this for yourself”. It’s much easier to fulfill existing demand then it is to create it. Unfortunately, deciding what to sell requires more effort than just asking what we think you should, or shouldn’t, dropship. Many would recommend picking a product that you find interesting or see value in personally. This, in our experience, is not the option to go for. This method will sometimes work but it very rarely provides a constant stream of income. To find out what products you should be focusing on, you need to put together a market research strategy. You should look at what your competitors are selling, what’s popular in the industry, and what your target audience is interested in. The main thing to take into consideration is the minimum advertised price (MAP) that the manufacturer offers on a product, as this is the lowest price that you are allowed to sell the product for. As a consumer, you’ve most likely placed an order online before for a relatively small sum, without any haste. However, would you confidently place an order for stock over $1,000, especially on a product you’re not familiar with? If you’re selling high-priced items, then you’ll need to take this into account. For instance, you might offer your buyers a phone support service, to help justify the price they’re willing to pay. Alongside high price items, it’s a good idea to offer accessories. As consumers, we all tend to shop around until we find the best price for an expensive product that we want. But we’re likely to purchase accessories, at full price, from the same store. This is something that we are less likely to shop around for. Another good business model, is selling products that are hard to come by locally, as long as you’re not too specific. For example, if I can’t pop down to my nearest clothing store to purchase a Filipino Salakot, where do I go next? Google of course. A final thing to remember, is that it’s much easier to fulfill existing demand then it is to create it. If you have a product no-one wants, then you won’t make any sales. You can use tools such as Google Keyword Planner (in AdWords) and Google Trends to plan your keyword research. This is very important, as you want to be ranking for particular and popular keywords in Google. These two tools allow you to do many different things. Backlinks are also important, as Google loves links, and relies heavily on them to get your site to the top. Taking a look at the product keywords you want to rank for in Google Keyword Planner will show you how popular that product is in a Google search. This will show you on a monthly basis how many people search for this term. You can also put in your website, (or your competitor’s) and see where the site ranks, so you know what to target. You can then use Google Trends to show you more detailed insights into the search volume of that keyword over time. It also shows related terms, which keywords different countries use most often, and the impact of seasonality. Backlinks are also important, as Google loves links, and relies heavily on them to get your site to the top. The more links that point to your site means this is possible, however the quality of those links and sites are taken into account. There are many ways to get backlinks, and even though some of these are random people that just felt like linking to your work, you can still go the good old route and ask for a link. Get onto Google and search for reviews of the products you’re selling, contact the author of the review site and recommend linking to your site, especially if your stock is current. To get an idea of how many site backlinks you need to succeed, take a look at Open Site Explorer. First, find your competitor’s site, making sure they are on at least the first page of Google, and copy their URL into this tool. It will then show you how many unique linking domains this site has. This gives you an idea on how much work you need to do to get to the top of Google. Managing inventory, especially across multiple suppliers, can become increasingly difficult, so you need to make sure you’re doing a good job of it, otherwise you’ll lose your customers. Using multiple suppliers is a huge advantage, because this will improve your order fulfillment. That’s why it is a good idea to use a multichannel management system as it can help you manage your inventory, synchronize your stock levels, and create and manage your listings automatically. There are also a few steps that you should take to avoid your products being out-of-stock when you go to purchase them. Firstly, using multiple suppliers is a huge advantage, because this will improve your order fulfillment. For example, if your first supplier doesn’t have the item in stock, then there’s a good chance your other supplier will. This is often the route that merchants go down. Relying on one supplier alone may end up in many complications. Choosing multiple suppliers that carry some, but probably not all, of the same stock, is what you are realistically aiming for. Using suppliers that carry interchangeable stock is also useful because it allows you to create a generic product description to fulfill orders from either supplier. Listing both suppliers’ model numbers in the model field means you can forward an order invoice without making any major changes. In addition, checking which items are consistently in stock with your suppliers will give you an idea of what you can sell at a regular pace. Selling stock that your suppliers regularly run out of will result in order cancellations, refunds and losing your customer base. Which Supplier Should I Use To Fulfill An Order? 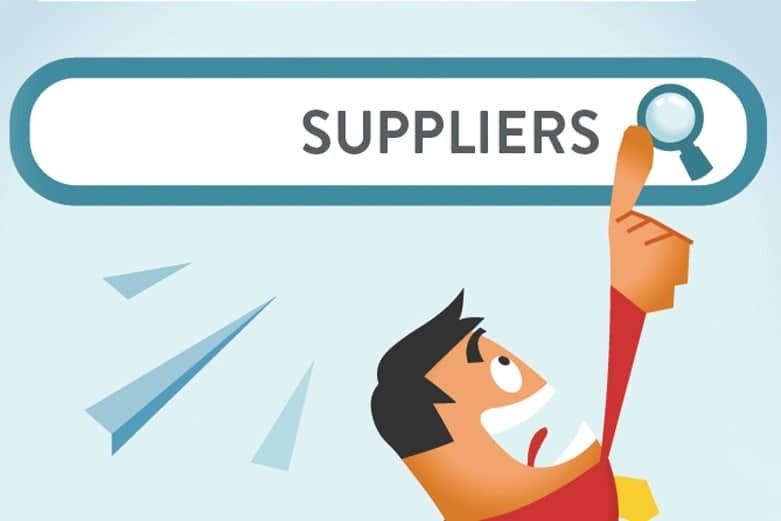 Having multiple suppliers does bring a great deal of benefits, however it does mean you need to decide which supplier to use when fulfilling orders. The option that many merchants choose is to go with the supplier that can offer the goods for the lowest price. This can be difficult to calculate, as you have to factor in fees such as shipping, VAT and customs charges. It may also vary depending on the type of product you are offering. If a customer orders a number of items, which are spread over multiple suppliers this can become expensive to ship. That’s why it’s recommended that if you have a niche product, you should use a single supplier, or ensure all of your suppliers have the same products, to avoid regularly splitting orders between several suppliers. Alternatively, if you want to ensure quicker delivery and save on shipping fees you may opt to choose a supplier that is closer to your customer. Remember, finding the way that works for you will be the right way. We cannot tell you what to do, or how to do it, but we can guide you. Talking to your suppliers to find out what their returns policy is will help ensure you know what to include in yours. If a customer needs to return something, this is how the process should look. Step 1 – The customer contacts you to return an item. Step 2 – The merchant (you) should then request an RMA (Returns Merchandise Authorization) number, which you get from your supplier. Step 3 – The customer will then post the items back to your supplier, whilst noting the RMA number in the address. Step 4 – You will then be refunded for the wholesale price of the merchandise. Step 5 – You (the merchant) will then refund the customer in full. This process is slightly different for damaged goods, as when a damaged item is returned, the merchant will need to pay for the refund themselves. In many cases, the supplier will not pay for this. This is something that’s going to happen sooner or later, and if you’re seeking to build a reputation with your customers then this is just a risk you’ll have to accept. If an item is sent back to the supplier, the merchant will often need to pay a restocking fee. This is another cost you’re going to have to take on board, and not an expense that your customers should have to pay. Do not ask for a restocking fee in your returns policy. It’s important to remember that not every strategy and plan you have will work – you cannot determine how well you will actually do. Unfortunately, it’s all trial and error in many areas. Keeping a clear plan of action will keep you on your toes and ensure that you’re heading in the right direction. The best practices and basic knowledge included in this guide should help you on the path to success in the dropshipping industry. This post was written by Cody Stallard. Cody is the Community Manager for The Wholesale Forums, an online networking marketplace for wholesalers, traders and buyers.